There’s still time to add your voice to the choir of people across the country urging FERC to reject the Atlantic Coast Pipeline. There’s still time to add your voice to the choir of people across the country urging FERC to reject the Atlantic Coast Pipeline. Click here to submit a comment. Despite a faulty format, the public has taken every opportunity to tell the Federal Energy Regulatory Commission to reject the Atlantic Coast Pipeline. At the start of 2017, Appalachian Voices and our partners criticized the many flaws in FERC’s draft environmental impact statement (DEIS) for the Atlantic Coast Pipeline. 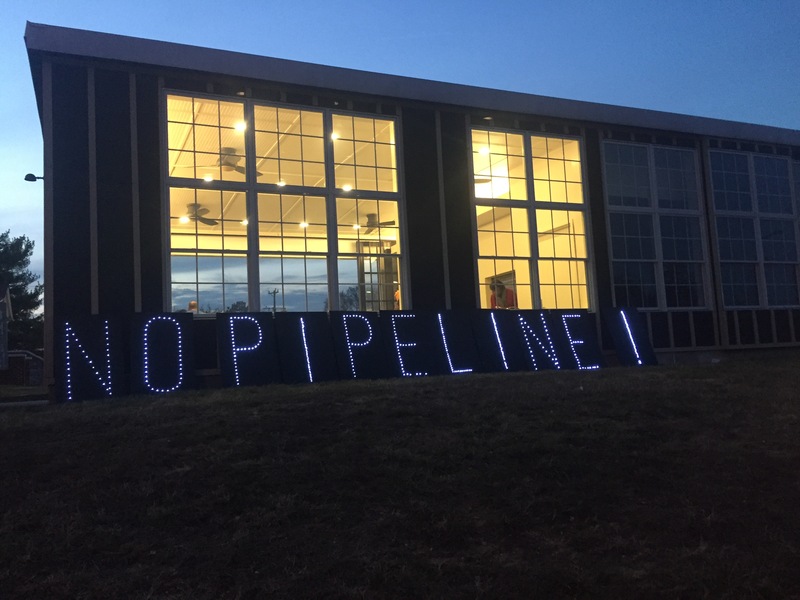 Now, as the 90-day public comment period nears its conclusion, thousands of people have told FERC that the DEIS is insufficient and the Atlantic Coast Pipeline poses significant threats to the environment and public safety. FERC is required to provide an opportunity for the public to comment on the Atlantic Coast Pipeline DEIS, and communities have taken every opportunity to tell the commission to reject the pipeline. In February and March, FERC visited communities in North Carolina, Virginia and West Virginia to receive spoken and written comments. Community members turned up at every Atlantic Coast Pipeline DEIS listening session along the pipeline route to share their concerns. Turnout at the events varied from roughly 40 to more than 150 people, with the Nelson County listening session in Lovingston, Va., topping out at 157. Commenters at every listening session sent a clear message to FERC — nearly all spoke in opposition to the pipeline. Groups not only found fault with the DEIS itself, but also with the FERC listening session format. Unlike the public hearing procedure that most of us are familiar with, FERC sequestered commenters one at a time into a separate room or private space to record their comments. The Society of Environmental Journalists, a professional association of more than 1,200 journalists, objected to FERC’s public listening session process. “The ‘listening’ format, which may be an effort to encourage commenters to speak freely, bars the public and the media from bearing witness to the event, much less hearing the information and arguments presented by other citizens. The DEIS comment period has proved to be a rallying point for organizations to connect with new folks concerned about pipelines. A number of grassroots groups along the pipeline route are hosting comment-writing parties and encouraging pipeline opponents to submit their concerns using FERC’s online system or via good ol’ snail mail. Comment-writing parties have popped up in Charlottesville, Staunton and Buckingham, among other places. But you don’t need to attend a party to learn more about the Atlantic Coast Pipeline or to send comments to FERC. A number of useful documents exist to help people navigate FERC’s website and comment submission process. And, if none of those are quite what you need, you can always call the FERC help desk to walk you through the online submission process or click here to sign on to Appalachian Voices’ grassroots comments. As we dive into the final two weeks of FERC’s public comment period for the Atlantic Coast Pipeline DEIS, don’t forget to tell FERC why the pipeline is unnecessary and unwanted! Click here to send your comment to FERC. A native Virginian and lover of mountains, forests, and people, Lara is enthusiastic about all good works to defend the Appalachian mountains and communities. As Appalachian Voices' Virginia Field Organizer, she believes the best kind of political change comes from the bottom up.